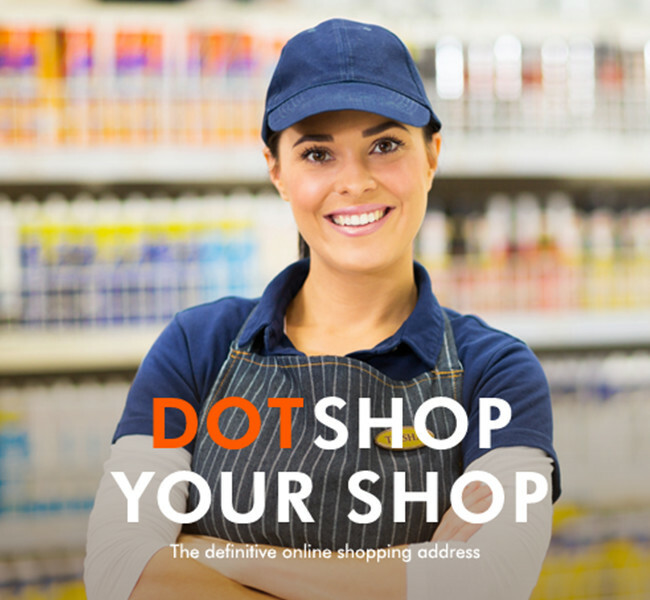 .shop is a new gTLD that clearly represents a "shop". It is not only suitable for EC websites but also for brick and mortar as well as service providers to deliver information. .shop was chosen as the most valuable domain name among more than 1,000 kinds in the preriminary survey. 8 companies including Amazon and Google participated in the auction to win the right to operate .shop. It achieved the largest applications ever during the priority registration period exclusively for trademark holders. 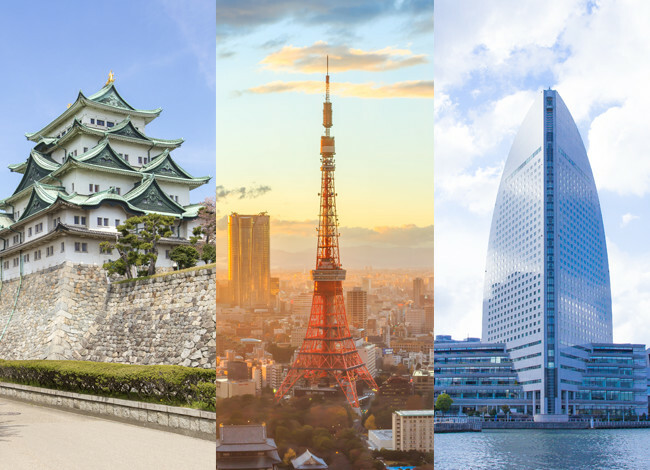 These are new TLDs that represent Japanese cities, "Tokyo", "Nagoya" and "Yokohama". They are ideal for the corporate website whose head office and branches are located in Tokyo, Nagoya and Yokohama, or those running related business in these cities. Also they are open to everyone and everywhere, from personal to corporative, domestic to international. Traditional domain names such as ".com" and ".jp" can be replaced by corporate name/brand name. 40% of 1,930 applications were dominated by the so-called Brand TLDs in previous round in 2012. 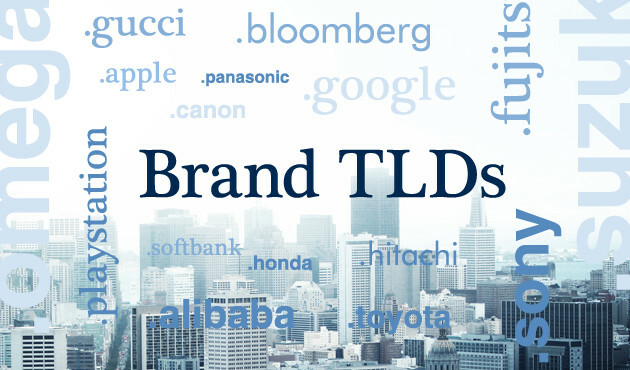 The brand TLD which enables exclusive use on the Internet is expected to be huge benefit to corporate branding strategy and there is a general forecast that Brand TLDs will be even more dominated in the applications of the next round (around 2019). 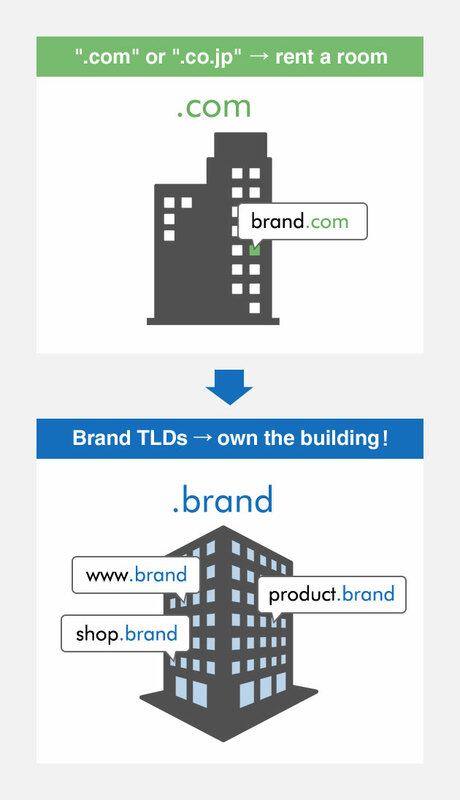 These are some of the advantages of operating Brand TLDs. Short and memorable addresses such as "productname.brand" provide visually powerful effects to consumers. It is a highly distinguishable marketing tool which differentiates it from other websites. Exclusive license prevents the risk of abuse and helps to build mutual trust with consumers. Consolidated management also helps to enhance compliance. Please feel free to contact us if you consider application. GMO Registry provides registry operational assistance to GEO TLDs, ".okinawa", ".ryukyu", ".kyoto" and CC TLD, ".id" of Indonesia. We will help operation of your domain with beneficial experiences attributed to domain registration services provided by GMO Internet group such as "Onamae.com" and "Muu Muu Domain". We will build a registry system and provide operational and technical support for your new gTLD. planning and executing promotional strategy, expanding the sales channel and following up with various implementation.